Ever wonder what Star Wars would have looked like if George Lucas had kept his first draft ideas? 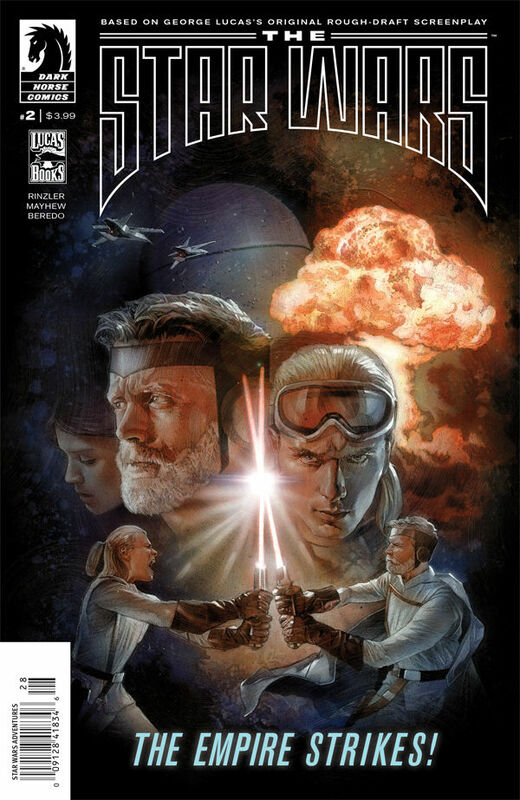 The Star Wars #2 picks up where #1 left off, with General Skywalker trying to convince the king (Princess Leia’s father) to give him the code to access the war computer. I was on board for the first issue, but they’re losing me now. First of all, R2D2 talks! Blasphemy! Just kidding about the nerd rage, but it really does make him less endearing. He’s gone from loyal, smart, pet-like creature to a crabby old scientist archetype. The story is also very choppy, to the point where I had to keep going back to see if I’d missed a panel. Along with the choppy writing, the artist is not great at showing movement on the pages. For example, we see Annikin being attacked, and then we see him with a lightsaber in his hand. At no point do we see him reach for it. This combination leads to a rather stilted story. Also, Annikin punches Princess Leia in the jaw and knocks her out because she won’t leave her handmaiden. I have a real problem with this, mostly because it was not met with any apology or outrage. It was just “what he needed to do”…which is ridiculous. He can use the force and was a captain and master strategist, but he couldn’t get a lady in his car without punching her? The other strange discrepancies, such as the statement that her family has ruled the galaxy for 10,000 years, and the awkward almost-kiss scene, lead me to believe that the writer is indeed following Lucas’s script, and it is a terrible idea. I’m going to keep reading, but it’s mostly out of curiosity, which is disappointing.